The Steel Ball Company (formerly known as Helipebs Ltd) was founded by Robert McDougall on 7th July 1922 to acquire the assets of The British Carbonizing Co. Ltd and to produce grinding media for the cement industry in Quay Street, Gloucester. Robert McDougall had previously worked with William Fennell, an experienced cement Chemist at the British Carbonizing Co. until Fennell’s tragic death on Armistice Day, 1918 when his car skidded on the road between Gloucester and Mitcheldean. It was William Fennell who had first developed helipebs – tubular shaped grinding media made of steel wire coiled in the form of a helix. At that time, although forged steel balls were used for the initial stages of cement grinding, subsequent processes were still chiefly dependent on the primitive action of flint pebbles gathered from the beaches of France and Southern England. William Fennell turned his wide and practical experience to the study of grinding media efficiency and had begun to experiment with new designs. After exhaustive tests, a special way of hardening his helipebs had been devised, which would give them the greatest possible resistance to abrasion. 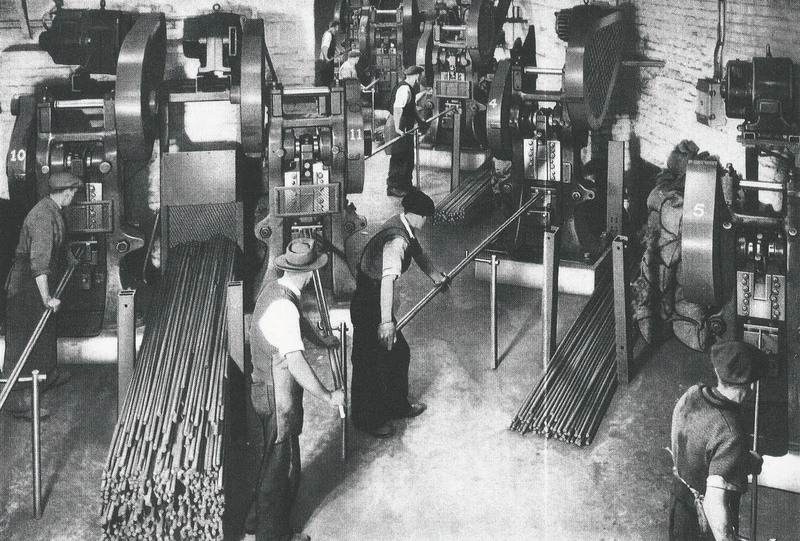 The success of helipebs ultimately led to a step, which had long been considered; the opening of a works that would concentrate on the manufacture of grinding media. It was quite apparent from The Company’s inception that output would be greater than could be taken up by users in Great Britain alone. However, Robert McDougall was convinced that there was an assured place in the world market for his cylindrical steel products, if only he could put his case across successfully. He took a bold decision to visit numerous overseas countries in search of potential export business rather than simply relying on a mail campaign and in spite of the fact that trade had not yet fully recovered from the First World War. At the end of a year’s trading the Company was supplying grinding bodies to several works in Sweden, Spain, Mozambique, the Dutch East Indies, Australia, India and Japan. Early in 1949 Robert McDougall even toured across South Africa and Rhodesia (now Zimbabwe) and secured customers at every single cement works operating and under construction in those countries. In addition he found interests widening to include the immense field of the mining industry. His packing department was piled high with drums whose markings gazetted the ports of the world. Age and the much increased volume of business eventually made it impossible for Robert McDougall to continue a dual role of directing the internal workings of the Company and at the same time travelling widely negotiating business and building up goodwill. 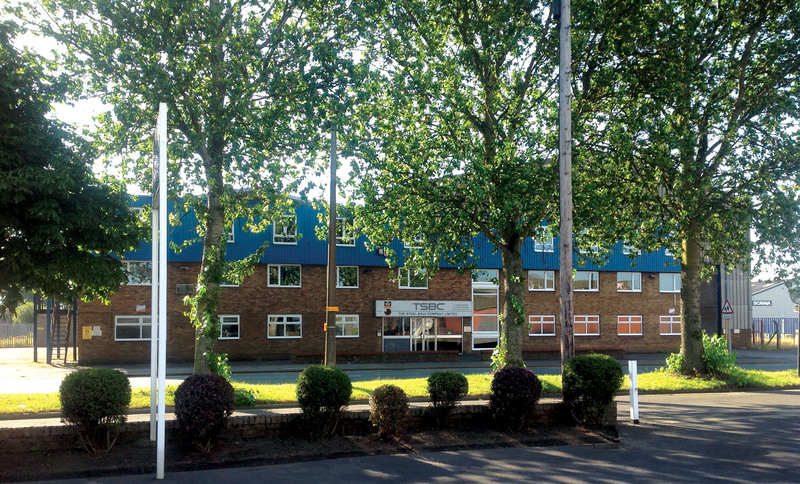 An Assistant Managing Director and a General Manager were appointed to Helipebs Ltd and in 1955 the Company moved to Charles Street, Gloucester to enable the business to expand into sub-contract machining and non-ferrous casting. After some forty years of steady progress in 1965 the Company commissioned the first high technology ball rolling plant in the Western World for the manufacture of a range of carbon/manganese forged steel grinding media. The major advantage of this precision roll-balling technique compared with traditional forging methods was the uninterrupted grain flow achieved. The grinding balls were rolled directly from carbon and alloy round bar, followed by in-line heat treatment and uniform quenching, tailored to give even hardness throughout, which was essential for very even wear. In 2011 after three generations of family ownership, the Helipebs grinding media business was sold to Laurence McDougall, John Thompson and John Wraith who share ownership in other steel related businesses including All Steels Trading, Tomrods, Special Steel Sections and Steelstock Services. The Steel Ball Company is the UK’s only manufacturer of steel grinding balls, which are supplied to power stations, mining and cement industries. Between 1970 and 2014 the business successfully traded out of premises sited on Sisson Road, Gloucester, where it operated a roll forging machine capable of producing up to 15,000 tonnes of grinding steel balls per year; in diameters ranging from 16mm to 70mm. From this larger site it became possible to also supply hammered forged steel balls made from selected carbon and alloy steels, which are essentially for semi-autogenous and primary milling, where steel balls over 70mm in diameter are required for impact grinding. During 2014 due to rapid growth in export sales and an ever increasing demand from the UK market for high quality locally manufactured grinding media, it became obvious that the Gloucester site was becoming restrictive and would be unable to handle further increase in demand. Therefore a decision was made to relocate the business to Scunthorpe, North Lincolnshire. This new site has two large operation bays and over two acres of land both of which will allow the business to extend the size range and treble production. This new location has the benefit of excellent road, rail and port/dock connections along with a local airport which all offer excellent opportunities for business development. The local ports allow the company to offer delivery ex UK into mainland Europe within 48 hours of receiving an order. The local area has an abundance of highly skilled and experienced workers which will also support further expansion. In 1953 Robert McDougall stated “There is no reason to suppose that we have reached the ultimate point of development in grinding media forms”. His passion and vision for this entirely British owned manufacturing business is very much respected and equally shared by the current owners of The Steel Ball Company.